The 21st century may turn out to be the time in history when we hit the natural resource limits of the planet. Despite the technological innovations of the last century, natural resources--from fresh water and forests, to healthy soils and fisheries--are becoming exhausted as we rely on them to meet the food, water and energy needs of a global population that is expected to exceed 10 billion by 2050. We need to manage differently now what little we have for today's use and tomorrow's needs. But there is good news. Provided we are willing to change, it is possible to protect the natural capital of the planet for future generations while meeting human needs today. 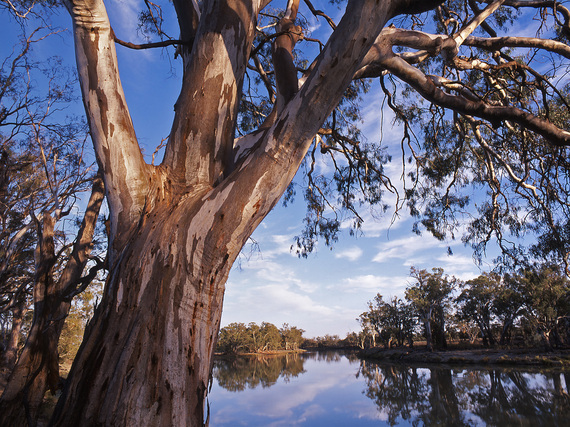 There is no better example of this than the challenge of managing our limited water resources. Water touches every part of our global economy. Without available, accessible water and its sustainable management, we could not produce food, clothe or shelter the world's growing populations, nor power our cities and communities. It is essential to our daily life, more so than any other natural resource. Yet, the state of our global water resources is far from good. More than 30 percent of the water sources that people depend on are over-exploited to near exhaustion--reservoirs and lakes are being drained, many aquifers have been sucked dry, and most rivers and streams have been over-diverted. Climate change further compounds the issue, as once dependable rainfall that replenished critical water supplies is now unreliable. Corporate leaders consistently rank this water crisis as one of the top risks to global prosperity. And for good reason: the impacts to people and nature are very tangible indeed. Water shortages in the Tana River basin of Kenya led to the loss of hydropower generation and associated industrial production, resulting in losses of over US$2 billion in 1999-2000. Insufficient freshwater inflows to Florida's Apalachicola Bay in the United States led to a 60 percent decline in oyster populations in 2013, resulting in revenue losses of 44 percent in the shellfish industry. Water shortages in the Badin District of Pakistan in 2013 left 27,000 hectares of rice farms without water, impacting 100,000 farmers. 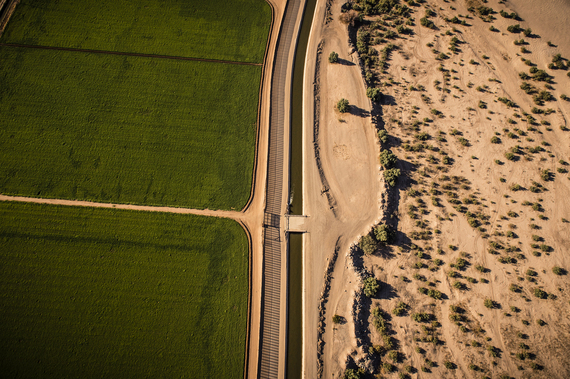 A new report issued by The Nature Conservancy, "Water Share: Using water markets and impact investing to drive sustainability," shows an alternative path: one that starts with harnessing the power of well-regulated water markets to help us make more efficient and productive decisions. Using water markets, we can shift water back to the environment, while increasing the productivity of irrigated agriculture and meeting the water needs of cities. Take the city of San Diego, California. In 2003, California had to reduce its use of the Colorado River to ensure allotments to other states. In response, San Diego's water authority pioneered a water share agreement with the state's largest irrigation district to pay farmers to reduce water use. The agreement provides more than USD$60 million per year to farmers, and the saved water is sent to the metropolitan area. Today, more than 90 percent of water consumption in water-scarce regions is for irrigated agriculture. If we are to meet the needs of a population expected to reach 10 billion by 2050, we must increase food production while freezing agriculture's water footprint. As described in this new report, the use of water markets shows great promise. If fully scaled, WSIPs could mobilize US$13.4 billion per year in transaction value to reallocate water, corresponding to an underlying assets value of US$331 billion. This is a significant: by comparison the entire water sector--inclusive of municipal utility systems--represents global annual expenditures of about US$500 billion. There is a future where nature and people can thrive together, but only if significant changes occur in how people's needs are met and in our relationship with nature. By solving the major challenges facing nature globally, such as those of agriculture's growing footprint and water scarcity, we can address important and tangible challenges facing people, and demonstrate how investing in nature will help us achieve a healthier, more prosperous, more resilient world. Explore The Nature Conservancy's latest thinking, science and recommendations on fisheries, ocean and water conservation.